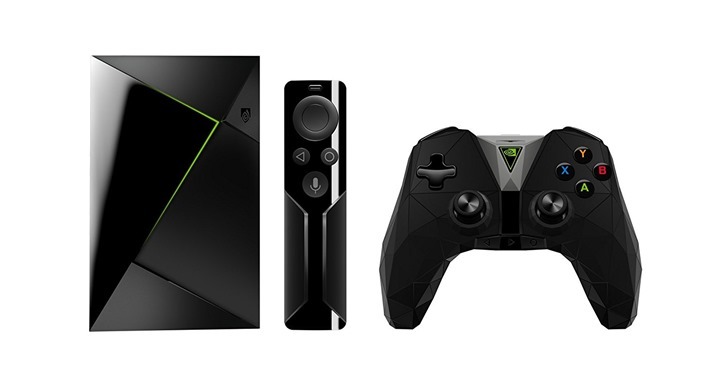 NVIDIA announced its new Android TV top-box, the SHIELD TV, at CES less than a couple of weeks ago and now it's available for you to order. This is the real deal, not the small mistake Best Buy made a couple of days ago by putting inventory up for sale too soon. Both the regular 16GB SHIELD and the 500GB SHIELD Pro are ready to take your money, but the latter is only pre-order now. It should be in stock around the end of the month. The new SHIELD has a smaller body, a new controller, 4K and HDR support, the same Tegra X1 processor and 3GB of RAM, and the same storage tiers. Ports-wise, there's HDMI, two standard USB 3.0 ports, gigabit Ethernet, and an IR receiver (microSD and microUSB come only on the larger Pro model). The more significant improvements are in the promised updates that will bring Google Assistant support without the need to press any button (think Google Home-like), SmartThings compatibility to control your smart home gadgets (the how is still not perfectly clear), and the SHIELD Spot accessory that will let you scatter Assistant's voice controls all throughout your home, à la Amazon Echo Dot. The SHIELD is available to order for $199.99 on NVIDIA's site, Amazon, Fry's, Best Buy, B&H, and Newegg. You can also pre-order the 500GB SHIELD Pro for $299.99 if you're looking for more local storage. As for accessories, an extra controller costs $59.99, an extra remote is $49.99, and a vertical stand is $19.99. Weekend poll: Do you stream music to your phone, or store it locally?